Avatar: Extended Collector’s Edition is coming out next month on DVD and Blu-ray. “I told our team — let’s do the ultimate box set of Avatar, with everything in it the fans could possibly want. There’s an extended length cut that’s sixteen minutes longer, plus documentaries, behind the scenes featurettes, artwork and over 45 minutes of deleted scenes. Everything worth putting into a special edition is in this set,” said James Cameron. 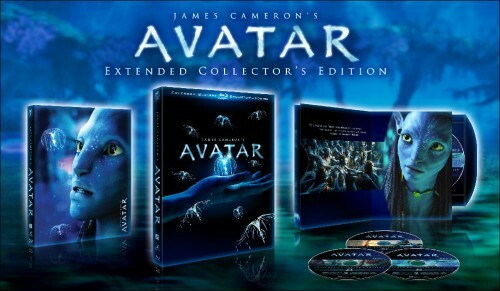 Avatar: Extended Collector’s Edition will be out in the United States and Canada on November 16, 2010 on DVD and Blu-ray.